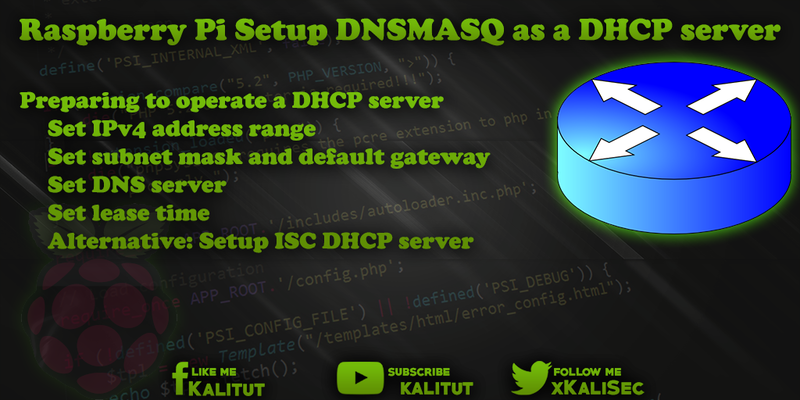 "dnsmasq" refers to itself as "A lightweight DHCP and caching DNS server". "Dnsmasq" is a very versatile daemon. In addition to being a DHCP server, it can also be used to provide DNS services (DNS forwarders) and IPv6 router advertisements. It makes sense that the relevant interface with the DNSMASQ should serve the IP network with a static IPv4 configuration. First we install the "dnsmasq" daemon. Then we continue with the configuration. Before we save the default configuration file and create a new one. Here the DHCP server and the DNS forwarding for the network interface "wlan0" is activated and for the interface "eth0" only DNS, but no DHCP is served. In addition, it is specified that in the WLAN, the IPv4 addresses are assigned from 192.168.1.100 to 192.168.1.150 for the clients and the address of the DNS server is specified. Before commissioning, it is recommended to test the configuration. The syntax check should succeed with "OK".